I am typically pretty upbeat and positive by nature. I have had to overcome a lot in the past decade, and I have spent some of that time feeling situational depression due to battling illness, surgery, dealing with body issues from having so many scars and a permanent ileostomy. When I found out I was able to get pregnant, and subsequently carry this baby, I was over the moon! Depression wasn’t even on my radar at that time. I am extremely high risk. I have a team of doctors and specialists across three hospitals that will be involved in bringing this baby into the world safely. Of course, I am a bit nervous, but I also have great faith and trust in this team to do everything to help bring this baby boy into the world, keeping us both healthy and happy. Here’s where I struggle. I am supposed to be happy. I AM happy. Don’t get me wrong. I’m happy to feel baby move and happy to know I will hold him in just a few short months. However, what is happening to my body is bringing me so low. I am just not feeling overall happy, and I didn’t expect that. Without delving too deep into the graphic details, I’ve had 14 surgeries which have left my entire abdomen full of scars. I have numerous scars running up and down, diagonally, and across my torso. Drain scars, former ostomy scars- just scars, scars, scars! Following one surgery, I had a serious infection so my abdomen had to be re-opened, and I was put on a wound vac to help heal by secondary intention. That process left my tummy full of puckered and thick scar tissue. All this scar tissue causes adhesions. As my abdomen stretches, the scar tissue is stretching and tearing both on the surface and internally. It has been challenging to deal with. This, along with changes in my ostomy with my intestine prolapsing outside my body, has left me feeling depressed over all these reminders that my body isn’t quite the same as others. This pre-partum situational depression has hit me hard. I am struggling with my body and disease and with my hormones running amok. I have found myself in tears quite a bit lately. I am not writing to complain, NO, but to confront what is happening to me and to share this with others who may struggle with these same feelings during pregnancy or at any time. I know that this is supposed to be the most blessed and happy time of my life, so why am I feeling so blue? I don’t have the answer. During this time, my comfort and refuge is found in my craft. I am so grateful for a loving and supportive husband and the support of a fantastic family, but when I am alone, I find solace in the stitches and the repetitive nature of crochet to help distract and focus my mind on something other than these feelings and the pain from my scars. Lately, I have been working on so many crochet projects for not only my little guy, but also for my sister-in-law who had a baby girl in January. My niece is the perfect model! These projects, alongside my work here at YARNutopia, has given me a deepened purpose, and these goals have helped me focus on more than the issues I am dealing with. I know I’m not alone. I know that this is only temporary. I know this is a very small price to pay for bringing my baby into the world. I know I have support and love of an amazing husband, family, and community. I know all these things. I also know it is ok to feel. It is ok to be sad. It is ok to hurt. It is ok to ask for help. It is ok.
After spending a little time yesterday on self-care – I bought myself some springtime flowers to brighten my home, I did some retail therapy and bought myself a few feel-good things, I had my nails done, I took a long walk in the sunshine, a short drive and played my favorite music, and I talked for hours with my mom-I am happy to say that I feel a little better. Today has started off on a good foot and writing this has helped. Also, it has helped to be working on some crochet projects, and I went to brunch with Nate. Each day may present a challenge, but I am thankful be able to face each one in strength and resolve and overcome those challenges! Please share your stories of pre-partum or post-partum depression or your struggles with feeling out of control. 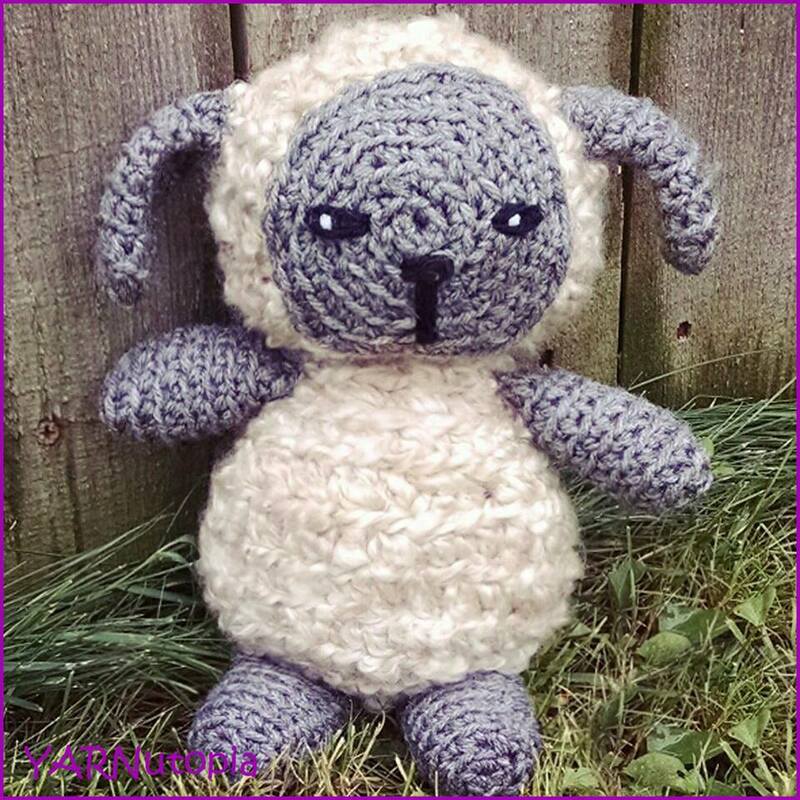 Share your stories of how crochet has brought you comfort during a time of need.